OLYMSPAN is located in hometown of autoclave-Changzhou,Jiangsu,China. It is a leading high-tech enterprise specialized in providing advanced autoclave solutions. Olymspan autoclave with excellent performances are widely used for composite curing,safety glass laminating,PV module encapsulation,wood carbonization.rubber vulcanization,medical waste treatment and so on. Since the establishment, we have always devoted ourselves to the innovation of autoclave and its control system. Now our Thermal Processing Control(TPC)software,designed according to aviation level,has been able to meet the most strigent technological requirements and the operation performance is safe and stable. Our goal is being the leader of autoclave and its control system. 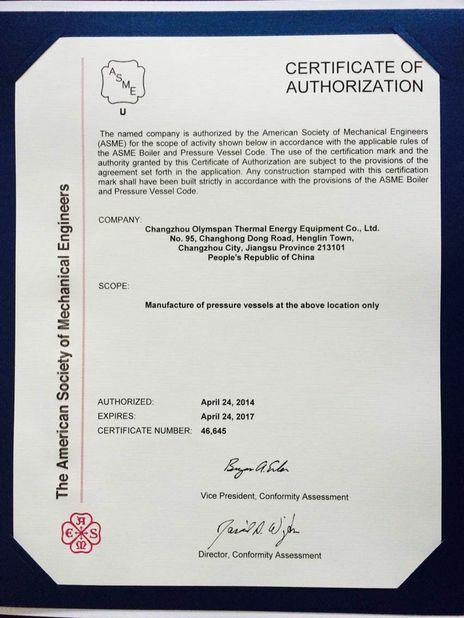 Meeting various standard like GB150,ASME,PED,AD-2000 and so on. 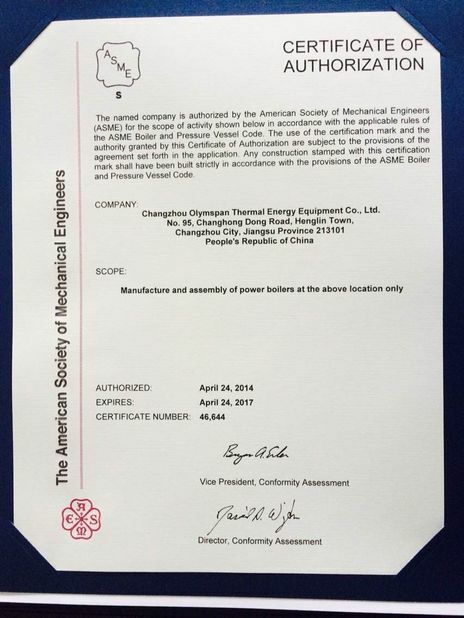 The autoclave comes with relative certificates. A professional team of engineers working on electrical,mechanical,control and software development departments. The software is updated continuously to meet customers' requirements. Response time will be shorter than 24 hours and we will try to make the production safe and stable. The world's most popular composite curing autoclave. It brings together world class engineering, unique autoclave system design, quality materials, advanced capabilities, and streamlined manufacturing to provide an energy efficient, aerospace autoclave for Tier I, II, and III manufacturers. The autoclave is the state-of-the-art in composite curing autoclave technology and provides more advanced features and higher performance than any other autoclave product on the market. With its advanced engineered design and the world's leading CPC control system, no other product can match its capabilities and performance. The autoclave is not only affordable priced, its space-saving design requires less energy to operate which saves you money in electricity, compressed air, and nitrogen usage each time you process your part. When compared to conventional autoclaves, a large production autoclave can save tens of thousands of dollars each year in operational costs. The autoclave is the autoclave that comes with CPC system. CPC is a PC-based control solution designed specifically for composite curing autoclaves and ovens. It is by far the most preferred control system in the world with over 1500 users. 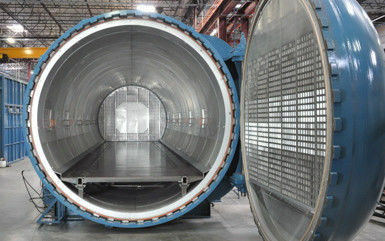 The majority of the world's major aerospace composite manufacturing companies choose CPC as their only control solution for their composite curing autoclaves. CPC was first launched in 1988 and since then has been updated yearly to address the ever-changing composite requirements. It is a bullet-proof Composite Bonding autoclave or oven controls application with incredible reliability and power. The autoclave does not require a radial air-duct and instead utilizes the floor as the forward air delivery system. This unique us design reduces the pressure vessel diameter by 6-8" (150-200mm) when compared to a conventional autoclave. This reduction in size and the elimination of the inner air duct reduces operating heating & cooling costs, pressurization costs, and equipment price.